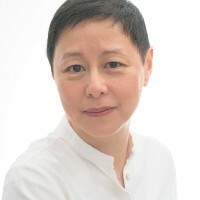 Yuen Chan is a journalist who has worked in print, television and radio as a reporter, anchor and presenter and columnist in Hong Kong, where she covered news in the territory in the years leading up to and after the handover of sovereignty from Britain to China in 1997. She was stationed in Shanghai and Beijing as a correspondent between 2003 and 2008. Yuen was previously Senior Lecturer at the School of Journalism and Communication at the Chinese University of Hong Kong, where she oversaw the practicum magazine Varsity and also served as Assistant Dean (Communication) for the Faculty of Social Science. Chinese (Cantonese) (can read, speak and understand spoken) and Chinese (Mandarin) (can read, speak and understand spoken).